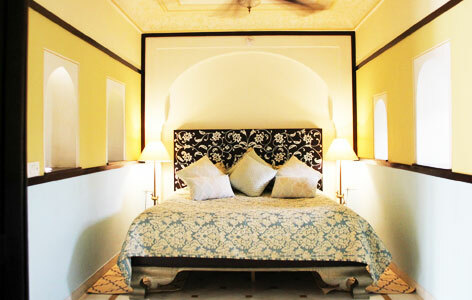 "Royal Heritage Haveli is a beautiful heritage property in Jaipur. Sprawled over an area of 100,000 square feet, the hotel holds a distinctive charm which is enhanced by serene courtyards, rambling lawns, and plush interiors. 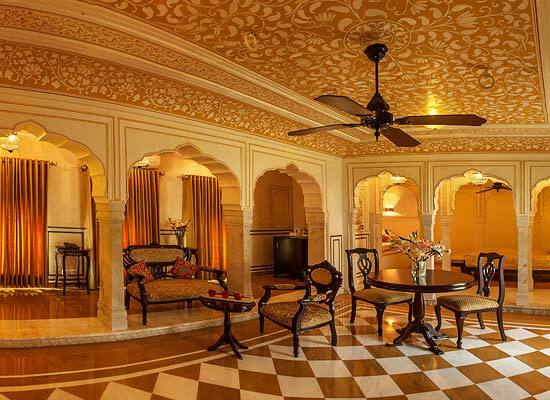 To enjoy the best of the vacation in Jaipur, Royal Heritage Haveli is one of the best accommodation options for travelers looking for a perfect mix of luxury and Indian hospitality. Built by Madho Singhji of Jaipur in the 18th century, Royal Heritage Haveli is one of the finest heritage properties in Jaipur. After 150 years, the property is now in use as a boutique hotel. The property beholds the old world charm and therefore, wins the hearts of the guests wanting to live life like a king. The hotel is praiseworthy for its excellent accommodation facility. 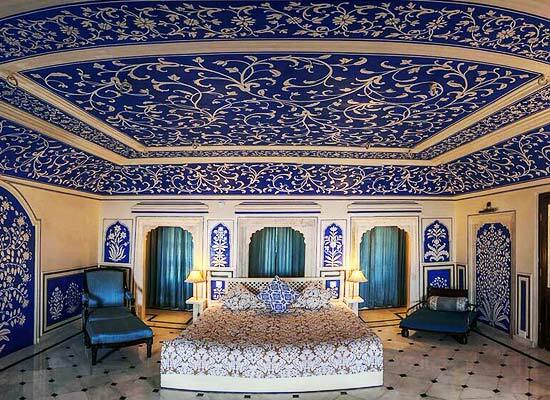 There are 11 rooms, beautifully adorned with frescoes on the walls and elegant arched doorways. The rooms, right from the colors to tasteful pieces of furniture, are elegantly designed and equipped with modern room facilities to assure comfortable stay to the guests. Each suite features luxurious and a big sitting area to unwind and relax. While linen, exceptional service and sumptuous food together make a wonderful experience of royal dining. As the delicious food tantalize the tastebuds, the guests also enjoy the sounds of nature as the arrangement is made in the inner courtyard under the clear blue sky. Moreover, for guests wanting to dine privately, there also is the formal dining area with limited seats. 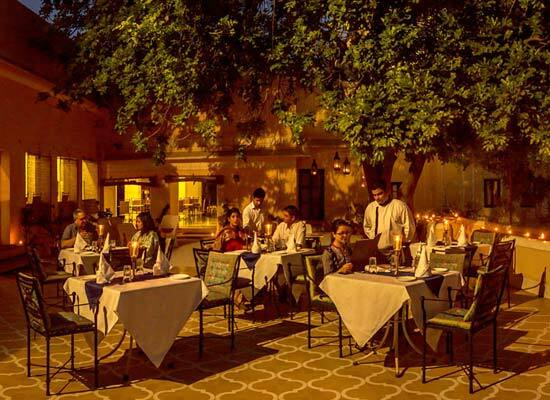 Thus, to make the dining area a complete package of royalty, along with serving delicious food, the walls and ceilings are adorned with beautiful frescos. Jaipur, known as the “Pink City”, is the capital of Rajasthan. The city treasures architectural structures and heritage sights of the country. The city is a living testament of the rich heritage of the city in the erstwhile days. The local handicrafts, the thriving markets, the delicious gastronomy add to the experience. Indulge in the traditional hospitality and enjoy a luxury holiday.